Ajay Bhushan termed Aadhaar as a technology for people's empowerment and not as a tool for exclusion or denial. 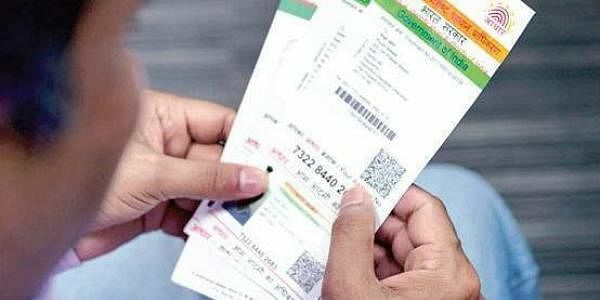 NEW DELHI: Denial of government benefits because of lack of Aadhaar or problems in its authentication is violation of norms and the violators should be punished, UIDAI CEO Ajay Bhushan Pandey said today. The Unique Identification Authority of India (UIDAI) -- the agency responsible for issuing the 12-digit number -- termed the assertion by some activists who doubted Aadhaar removing bogus beneficiaries as "distorted". It went on to term the activists' claims targeting Aadhaar as statements made with "malafide intent". "Their inferences arise from a skewed approach and draws misconstrued interpretations to pass off incorrect assumptions on Aadhaar," Pandey said in an e-mailed statement. He termed Aadhaar as a technology for people's empowerment and not as a tool for exclusion or denial. Stating that so far over 116 crore people have the 12- digit unique identification number and almost 99 per cent adults have been covered under it, Pandey said the Aadhaar Act itself "mandates that not even one person be denied of benefits for the lack of Aadhaar". He said regulations too cast a "responsibility" on the agency requiring the identification number to enrol its beneficiary and provide the individual with benefits till the person is given Aadhaar. The Act also provides for statutory protection to those who are unable to authenticate because of worn-out fingerprints or other reasons such as technical faults. Pandey clarified that in case a person has difficulty in getting fingerprints authenticated on a machine, he and she has the option to provide a copy of the Aadhaar card and can receive the benefits till the system is rectified. "The field agencies have been accordingly instructed through the notifications issued by the government. In spite of this, if a person is denied because he does not have Aadhaar or he is unable to biometrically authenticate, it is undisputedly a violation of instructions issued by the government and such violators have to be punished," he said. To claim that Aadhaar is responsible for denial of benefits is nothing but a "misconstrued fact presented with malafide intent", he said. "... such denial-related offences at the local level have to be dealt by local law enforcements," Pandey pointed out. Asserting that distribution of benefits through Aadhaar authentication makes it harder to fudge records and deny genuine beneficiaries, he pointed out that overall the system brings greater accountability and empowerment as it makes impersonation and denial of rights more difficult.